Windows 10 Insider Preview Build: Microsoft has released its new Windows 10 Insider Preview Build 16215 for PC in the Fast ring. The latest build brings a number of new features and improvements.Firstly this build introduces new UI for Start and Action Center that includes elements of the new Fluent Design System which were announced at Build 2017. 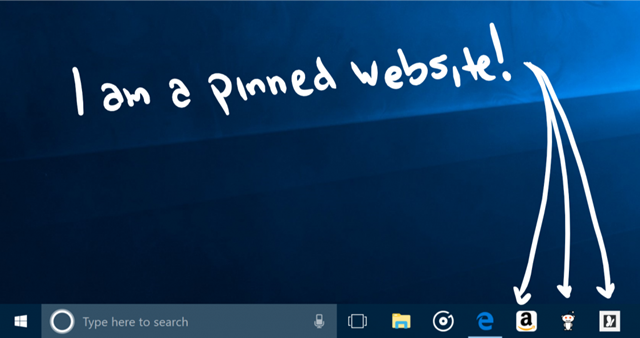 In the case of Edge, you can now pin your favorite websites to your taskbar and use the full-screen mode using (F11). You can also annotate EPUB Books by highlighting in four colors, underlining, and adding comments. The latest release also brings improvements to Cortana as it will now prompt you to create a reminder when she notices event posters in your camera roll. In addition, Cortana can now help keep track of future events on your screen. If you use the new lasso tool to circle the relevant information and Cortana will recognize the time and offer suggested follow-ups through a context menu. Up next is a new XAML-based handwriting panel with more gestures, easier editing, emoji, and more. As you write with a pen words are automatically converted to text, and words will shift along so you can simply keep writing. You can also select text to edit it and make corrections to converted text using ink gestures. There is an easier access to emoji and symbols and US English handwriting recognition engine has improved its accuracy.